This dude recreated a scale model of New York City. With LEGO. 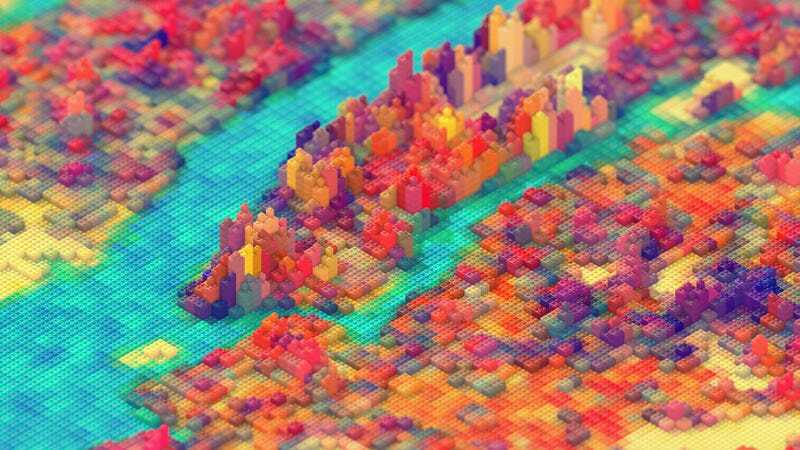 3d artist and motion designer JR Schmidt wins some serious points on detail for using maps, satellite data, and images like the one below to "set the elevation and color of the blocks" comprising his (digitally rendered) LEGO-fied New York City. Someone needs to bring this project to fruition. It would easily be some of the most impressive plastic-brick construction we've seen since LEGO Bat Cave. See more at Cargo Collective.